Disappointment is inevitable. No matter if it’s in business, in your career or one of your relationships, you are bound to experience it within a lifetime more than once! While you often can’t control your disappointments, you can control how you react to them. 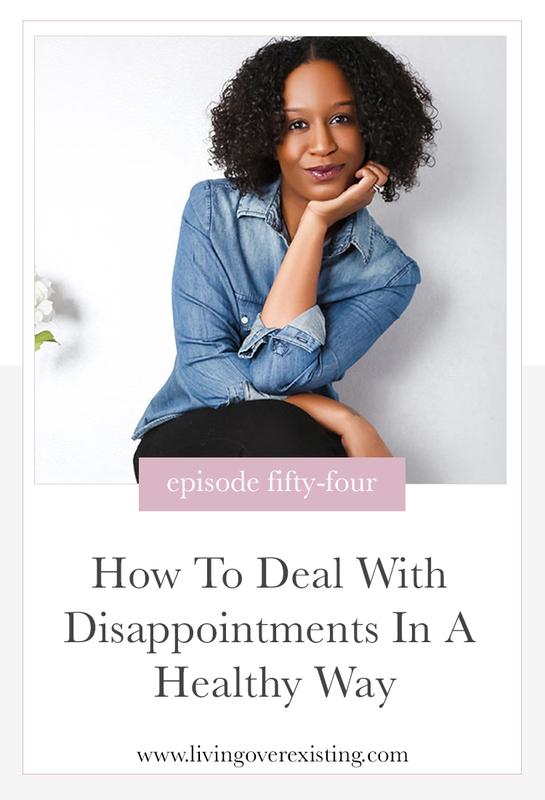 In this solo episode, Alisha shares how she was able to bounce back from her failed crowdfunding campaign and how she brushes her self off after every disappointment instead of keeps drowning in her feelings. While she has learned recently that disappointments have made her extremely resilient, she admits that it hasn’t always been easy for her to bounce back. Although the goal wasn’t met, she admits that the supporters from the campaign gave her the reassurance she needed that Living Over Existing was a needed platform. You have to give yourself some time to grieve and only you can determine how much time you need. If you begin to have thoughts of not being good enough or it not being worth it, that’s when you know it’s time to snap out of it.